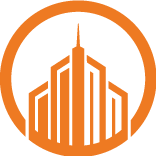 A fast growing commercial construction firm in the Charlotte, NC market, close to $100M in value. A new Project Management role to lead the special projects division with a focus on commercial interiors. This is a ground-up commercial GC firm starting an interiors division. Must have experience doing up-fits & interiors construction projects as the lead PM or SPM.